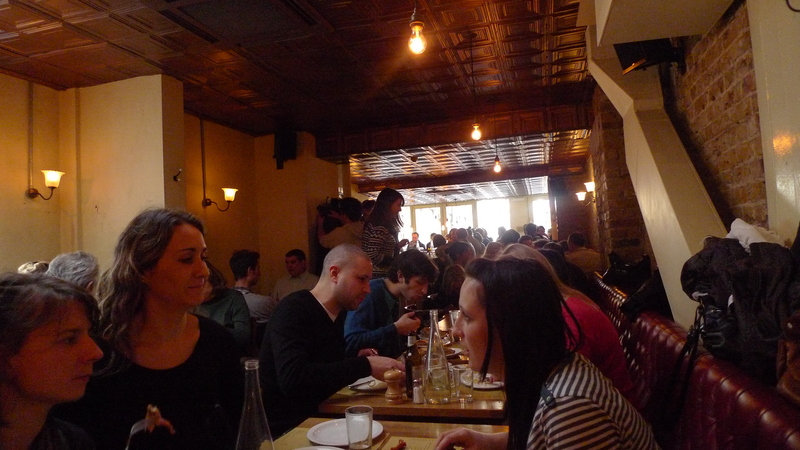 Going to Polpo for Saturday lunch was one of the best ideas I’ve had lately. First, you can actually book a table – you can’t for supper hence several disappointments – and secondly, it felt like a real treat from the Saturday day norm. I don’t know about you, but in the last few years, Saturday has turned into my slightly dull “admin” day. I get up early, do yoga, then bum around all day doing chores and generally waiting until Saturday night happens. I used to meet my friend Esmerelda for coffee or lunch but she was selfish enough to move to Australia so it’s been rather lacking of late. Sunday is my long-boozy-lunch followed by a film day, but until the weather is hot enough for cycle trips, Saturday has become a bit meh. But Saturday daytime is a lovely time to see friends. I often meet my girlfriends for post-work dinners during the week but this isn’t ideal as we’re normally wired from our working week, a little stressed, and need to get home at a decent hour. Sundays are always under the shadow of Monday mornings and the Sunday blues. But on Saturday, you can have a 4-hour lunch and still fit in yoga before and parties afterwards, AND have a whole day to recover with the papers on Sunday. 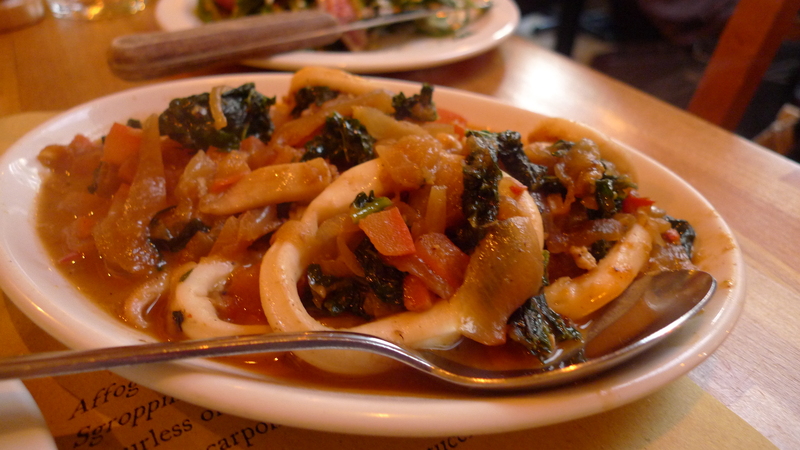 Calimari – tasty but a little dull? All this grub, plus the wine (only downside – Saturday night got a bit blurry due to lunchtime vino drinking – beware) and a coffee came to £28 each including tip which is brilliant – highly recommended for lazy weekend lunches or after-work dinners if you can get a table (or try Polpetto which serves similar food but where we got a table easily). Oh how I miss Argentina. The horses, the weather, the steaks, the Malbec – just not the same in London. After a crappy meal at the Pampa Grill on Battersea Rise, I was excited about going back to Santa Maria Del Sur. 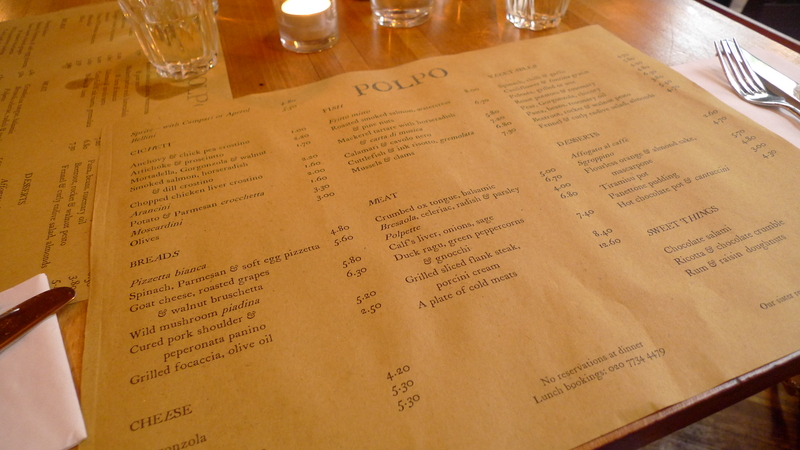 I’ve been before and raved about it (one of the best steaks in London I said! I have not been to Hawksmoor still!) but this time was following its win on Gordon Ramsey’s F Word for the UK’s best Americas restaurant (and you knew it – now impossible to get a table without booking well in advance) and after big-biceped manager Jose moved to the Moo Grill. 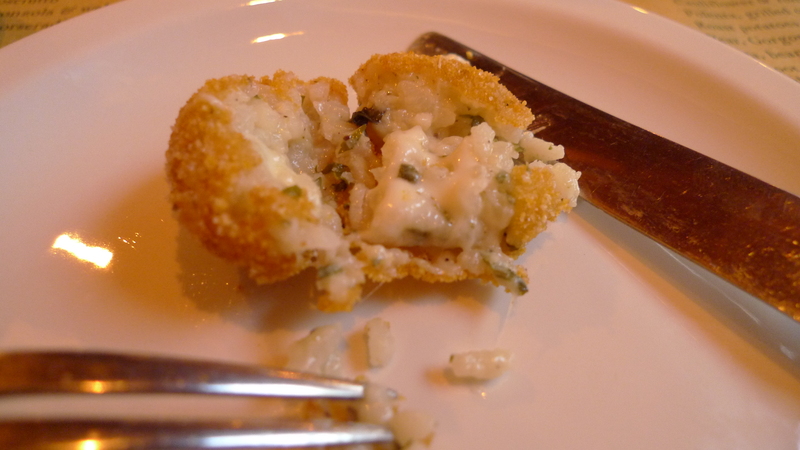 The Chef and I were hungry and I was excited to see a really authentic menu – Fernet and Coke! Quilmes! 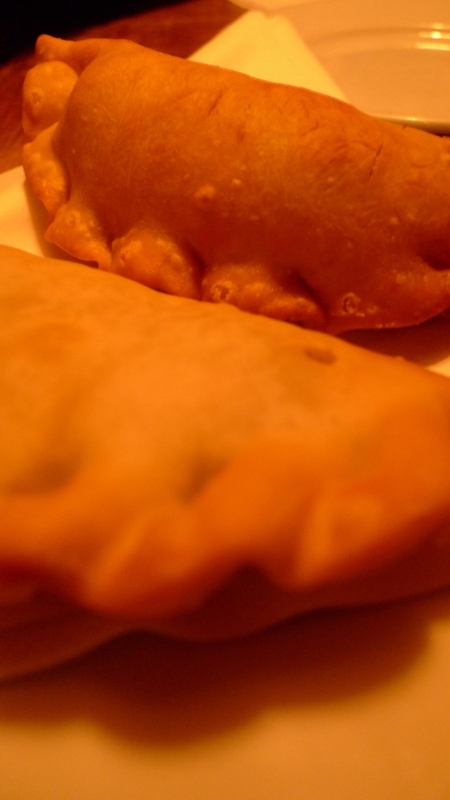 – and our starter empanadas were just aaaamaaaazing. 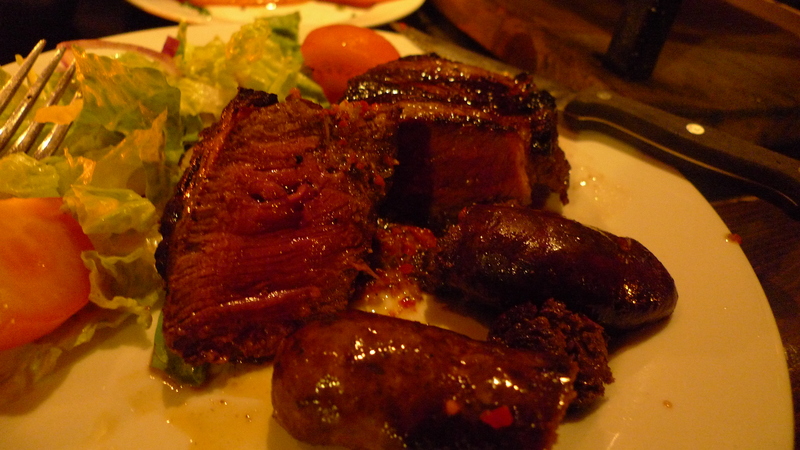 We then ordered the mixed grill which has 2 steaks – bife de chorizo (sirloin) and bife de lomo (fillet) as well as 2 sausages and some provolone cheese . Oh and some black pudding just in case you hadn’t got the meat sweats yet. 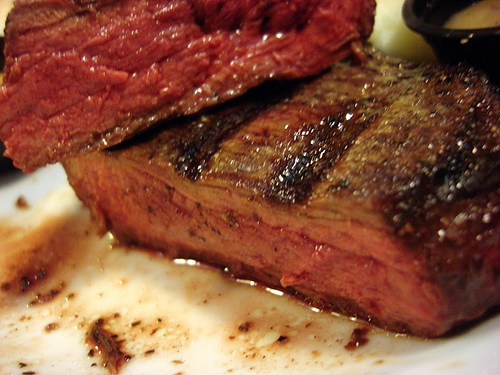 The steaks were excellent – really juicy and perfectly cooked. I’d go for the fillet steak which was perfect. The sausages and black pudding were good, but I could take or leave them, and the cheese although lovely was random. No necessito in my humble opinion. Decent Malbec (I ordered the Zuccardi because my friend Aileen fancies the owner’s son) but not amazing and I’d have loved to see some better names on the menu. Main disappointment? The sides were terrible. 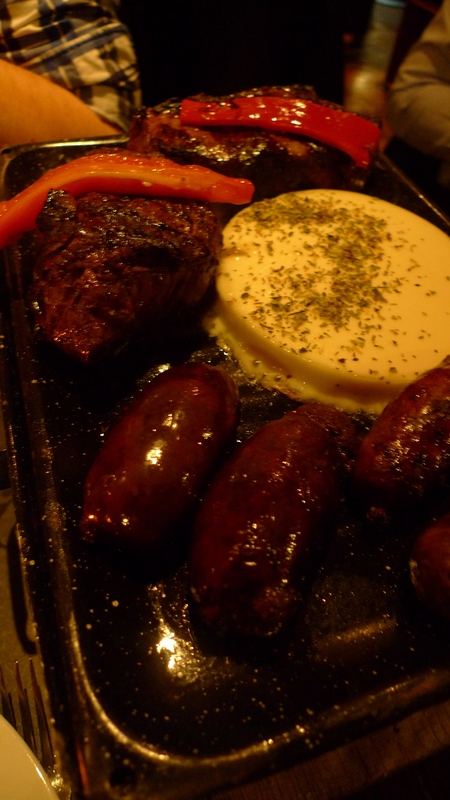 In Buenos Aires, the best meal I had was at La Cabrera where you got amazing steaks with delicious sides of mustardy things and salads and veggies. But at Santa Maria the sides were rubbish – a salad was some lettuce and tomatoes with not much else and the peppers were tastless, although the chips were good (I avoided – damn no carb diet). We finished up with a delicious flan with dulche de leche. All this food, with G&Ts to start and a bottle of Zuccardi Serie A (£27) came to £65 each which I think is a bit much for a local restaurant. The steaks were good and the but I’d have a fillet steak with chips next time and hope they’d improved their sides, with a cheaper bottle of wine. 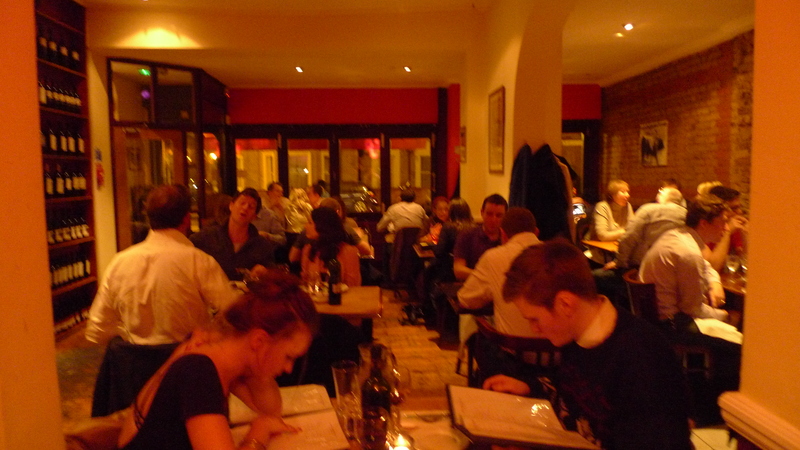 Still a lovely atmosphere for a date though, which explains why it was fairly heaving with couples. Sometimes, the body just craves iron. Well, that’s what I tell myself anyway. There are some nights when only a big juicy steak will do – so below are my ultimate meat feast restos in London. My other guilty pleasure is the perfect burger – I have to have at least one a month. My new year’s resolution is to find the best burger in London (and renew my gym membership obv) so keep an eye out in 2010. I actually went to Santa Maria Del Sur in summer on a quiet Saturday night with El G, having been recommended it by Lady B; and I couldn’t believe it when I switched on Gordon Ramsay’s F Word last Monday night and saw it compete for, and win, the Best Local Restaurant Competition for the Americas . If you live in Clapham or Battersea, its definitely worth a trip to Queenstown Road to visit. 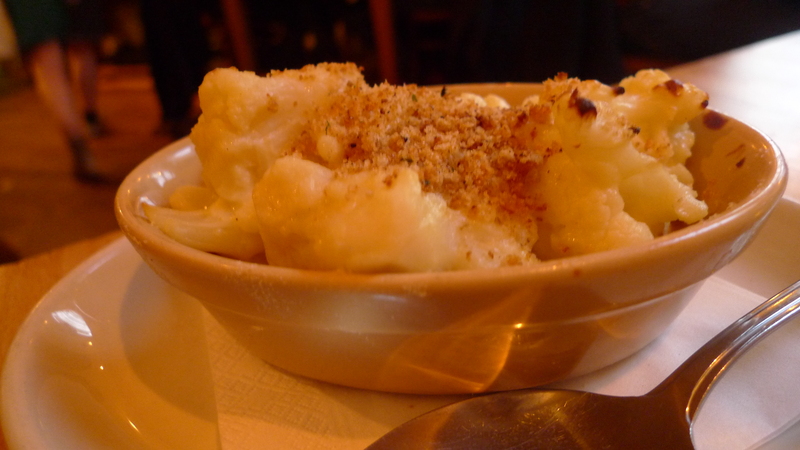 It feels like a proper local restaurant – the sort of place you can roll off your sofa after Harry Hill’s TV Burp, shove on a pair of jeans and trainers and go along for some grub. 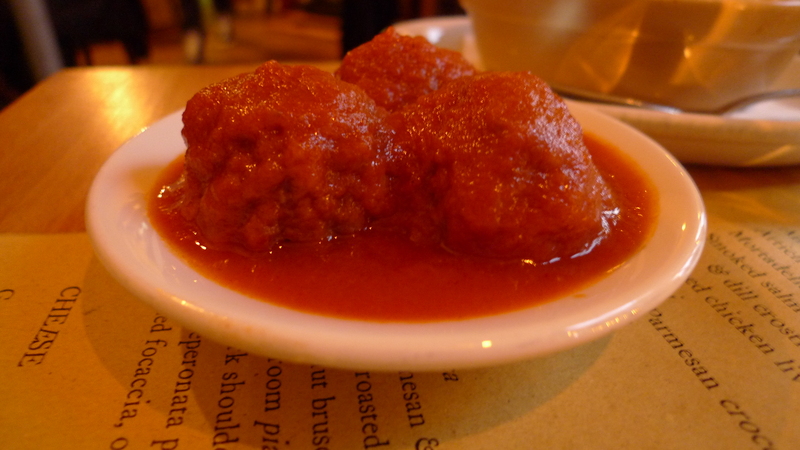 It’s cosy, romantic, and the staff are incredibly friendly. The ones we met were all Argentinian and the manager, Jose – who featured on the F Word – has the biggest biceps I’ve even seen (apparently a feature of Argentinian men, ladies). 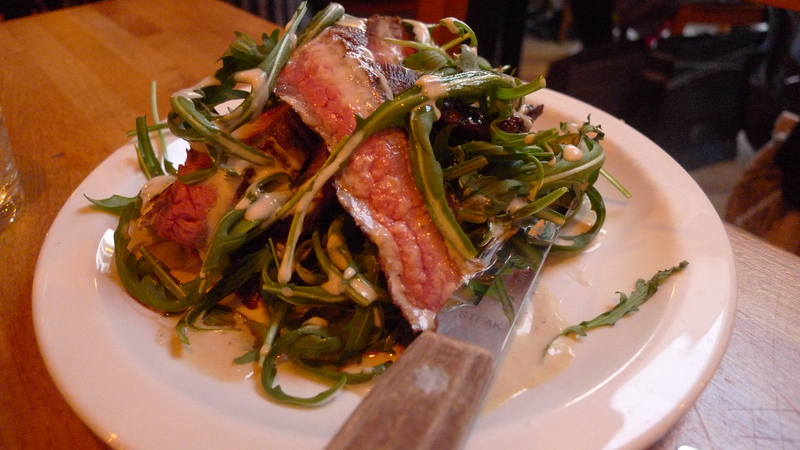 Its a place for Argentinian wine and steak – simple, perfectly cooked, flavoursome. There’s nothing pretentious or fancy about it, they are proud of their Argentinian roots and know how to cook a steak perfectly. Great for steak lovers, chilled out dinners with friends (they do a shared meat platter) or partners, and a nice relaxed Saturday night out. I’d also recommend for meat eaters the wonderful 32 Great Queen Street, sister restaurant to the Anchor & Hope on The Cut, and home to traditional British cooking – gamey, heavy, and tastes like what is on your place was jogging along the hillside just hours before – it probably was. Great for relaxed Sunday lunches or chilled out dinners with friends – superb British cooking with pates, soups and terrines to start, and fresh fish or meat as a main. At the Anchor & Hope version we shared pheasant and rabbit; at 32 Great Queen Street I had tasty pig’s cheeks and El G had lamb’s neck which looked like it had been guillotined off there and then. Some of our friends ordered the beef rib between six and got half a cow on a plate, cooked to perfection, a slab of rare beef with blood swimming round it. The boys were drooling a la Homer Simpson and someone mentioned the “meat sweats” – the sort of food I’d imagine served in a country mansion after a hunt years ago. Something your dad or boyfriend would love, and they were super nice to my veggie friend Lady B too.